Shifting a house or investing in one is a big milestone. If you are looking for flats for sale in Hyderabad, Modi Builders can be your one-stop destination. The realty group has homes designed to satisfy your dreams of owning a beautiful abode. This leading construction company hosts various high-quality projects in Hyderabad and Secunderabad. Each of them is an impeccable combination of attractiveness and comfort. Modi Builders Group is in the realty business since 2007, and has constructed several commercial and residential ventures. So far, all its ventures have been highly successful and satisfied all its consumers. The firm is providing well-furnished flats for sale in Hyderabad, each with cutting edge amenities. Most of the projects are Vaastu-compliant and are situated in the some of the best locations in and around Hyderabad. Also, they provide 24X7 CCTV monitoring and well-trained sentinels, guarding every entrance, giving a feel of protection to the residents. SPLENDOUR: This apartment complex is well-located, and in close proximity to the Hitech-City and Kukatpally. It has swimming pool and a Jacuzzi that’ll let you beat the heat and stay fit. The complex provides numerous international quality sports facilities that include badminton, squash, tennis and basketball to let you have an active lifestyle. 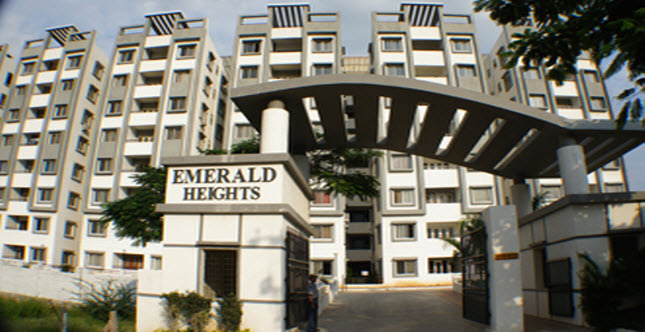 Emerald Heights: This is a premium project of Modi Builders that ensures international lifestyle for all its residents. The vast clubhouse will let you have a buzzing social life. The availability of playgrounds will let your kids make friends and keep them cheerful. Also, this is an ideal choice for people who desire a clean and pollution-free environment. Paradise Homes: These apartments are constructed in Hayatnagar, Hyderabad with luxury specifications. Spread over 4 acres, Paradise Homes consists of several facilities like every other apartment of Modi Builders. The availability of gymnasium allows the residents to have a healthy life. Lotus Home– Approved by HMDA, Lotus Homes is also a premium apartment project. It is situated at Bandlaguda with a close proximity to Nagaram and Kushaiguda. It is purely residential with no offices in the locality. This makes the Lotus homes stand out and a safer place to reside in. Modi Builders review that they work towards maintaining high standards and delivering excellent housing at affordable prices. They are making their projects fortunate abodes by making them Vaastu-compliant. They construct their designs keeping in mind the comfort of their consumers. Modi Builders have been delivering luxurious housing to their buyers and their flats on sale in Hyderabad have been built on the same bricks.